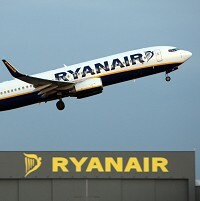 Low-cost airline Ryanair has been forced to suspend its Sicily service due to the aerial military operations against Libya. The Irish carrier, which runs flights between Stansted Airport in Essex to Trapani in Sicily, has diverted this service to the airport in the capital city of Palermo, about 35 miles away, until at least March 28. The move comes after Trapani airport was declared closed to all civilian air traffic in the wake of the offensive against Colonel Muammar Gaddafi - highlighting the need to take out adequate travel insurance case of unexpected changes to your trip arise. Italy has moved F-16s and Eurofighter aircraft from bases in its northern regions to the airport in Sicily.